Sydney is the oldest and the largest of all cities in Australia, so-called economic and cultural capital of the continent. 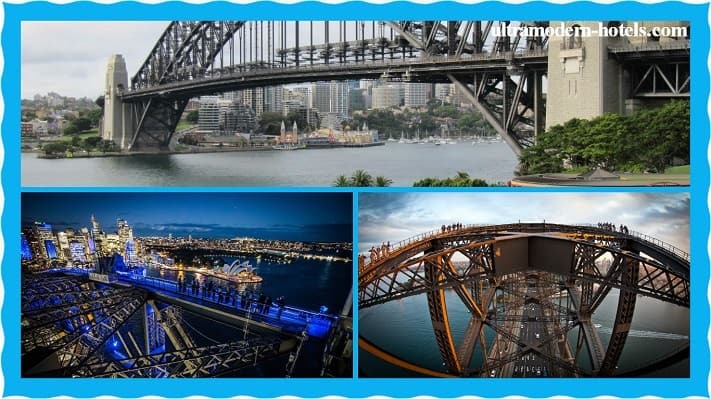 Even a person who isn’t interested in travelling will certainly recognize the stylish “shells” of the Opera House and the shape of the half-kilometer Harbor Bridge. 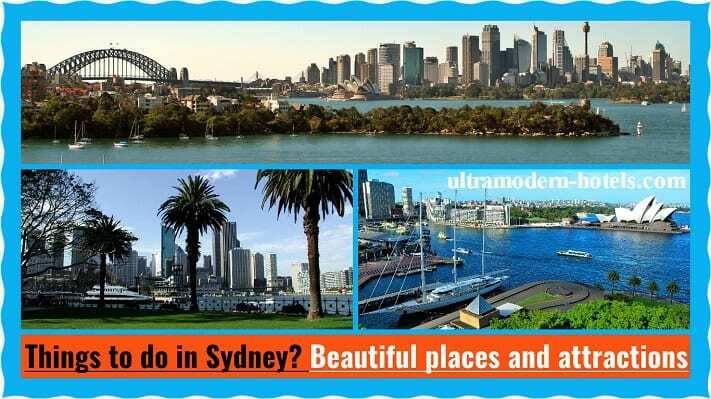 Sydney is huge: its size in diameter reaches one hundred kilometers. The most beautiful places and sights of Sydney are diverse: interesting museums, wonderful parks (the capital of Australia is one of the greenest cities of the world) and various architecture. 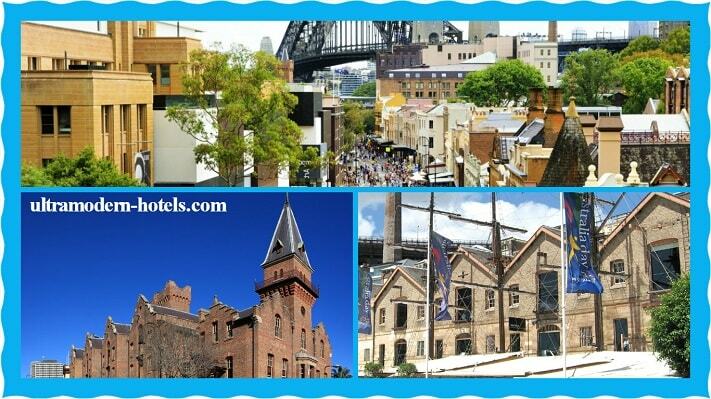 Things to do in Sydney? The team of the site ultramodern-hotels.com has prepared for you a list of the most interesting places to visit. Sydney harbor is an amazing natural landmark, including a cultural and historical center with Australia’s most recognizable buildings. Especially the harbor is beautiful at sunset and in the evening, when hundreds of lights come on. Deserved first place in our rating. 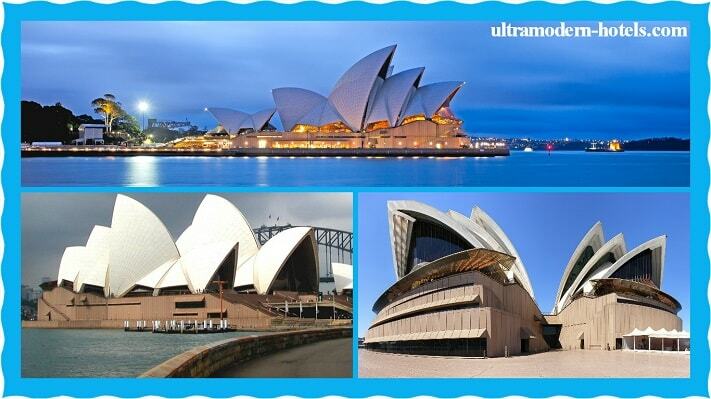 Sydney Opera House is one of the most recognizable buildings in the world. Any person (even distant from travel) will be able to name this building from the photo. The roof in the form of sails made this building one of the most recognizable. The theater is a UNESCO heritage. This confirms the complexity and uniqueness of the project. 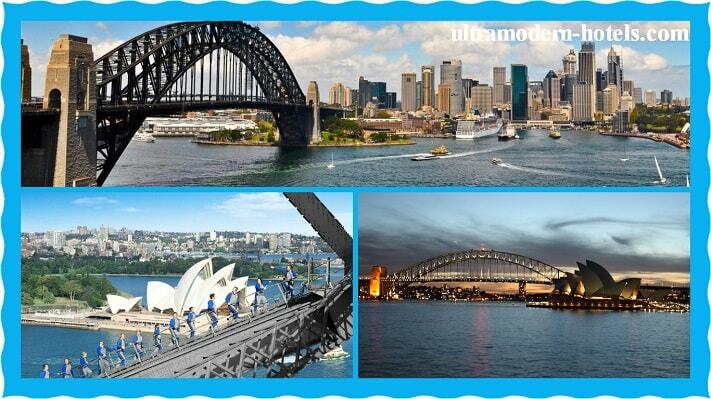 Sydney Bridge is awarded the title of one of the longest arched bridge in the world. The bridge looks amazing with the onset of the evening, when the backlight turns on. The grand opening took place in the distant 1932. It has become one of the most expensive architectural projects in Australia. The construction has been spent 20 million dollars. In those days it was very big money. It is a popular tourist hiking trail. 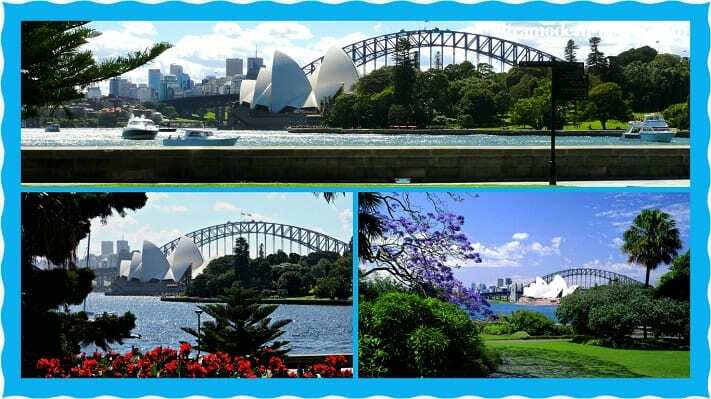 The starting point of the route is the Royal Botanical Garden (One of the main natural attractions of Sydney). The end point of the route is the Sydney Opera House. Do not be lazy. Be sure to walk along this popular route. You will get indelible pleasure. 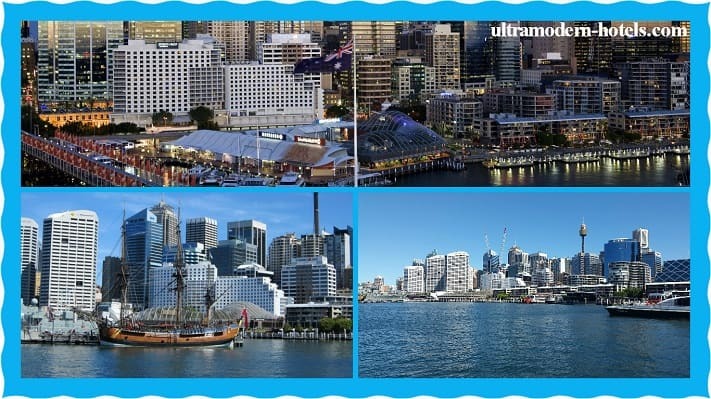 Darling Harbour – this is a popular tourist area, which is worth a visit. 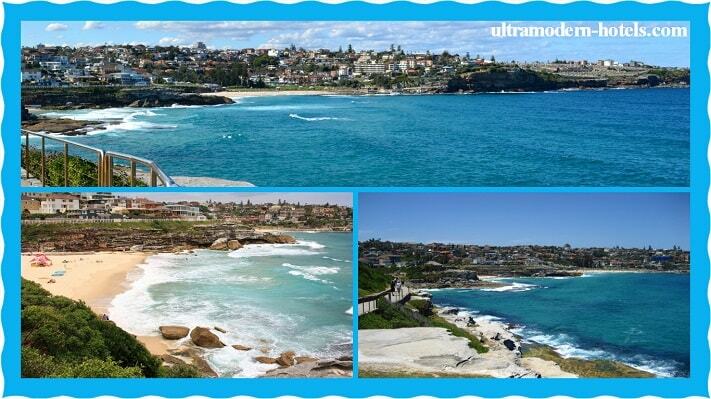 Popular restaurants, stunning architecture, shops, shopping centers, beautiful views! The Rocks is a historical district of Sydney with old architecture, interesting museums, galleries, various restaurants and cafes. 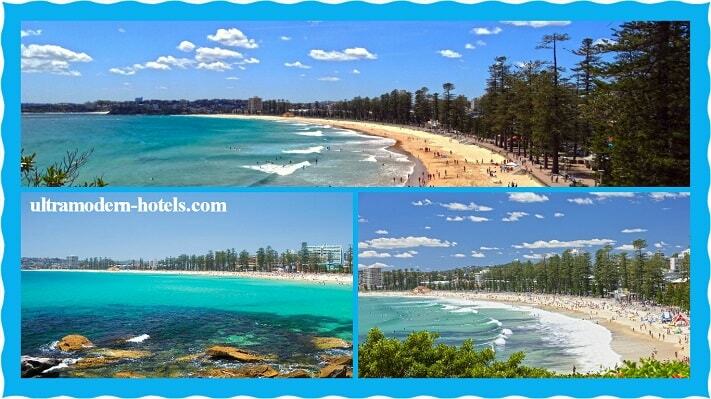 Manly Beach is the center of beach recreation and water activities (windsurfing, diving, and snorkeling). 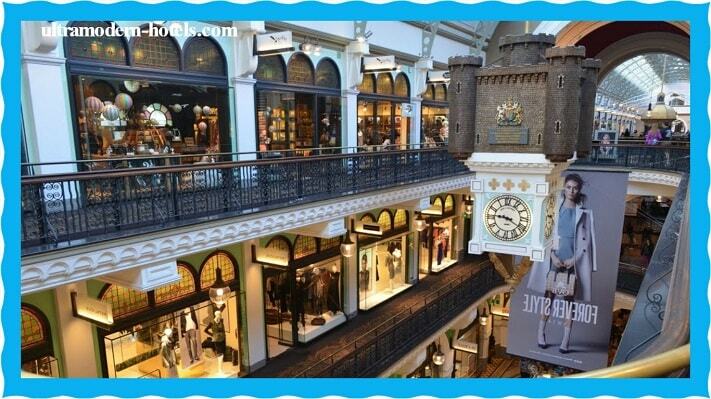 The most beautiful, popular and large shopping center of Sydney. More than 180 boutiques. The shopping center is located in a 19th century building with a rich history. 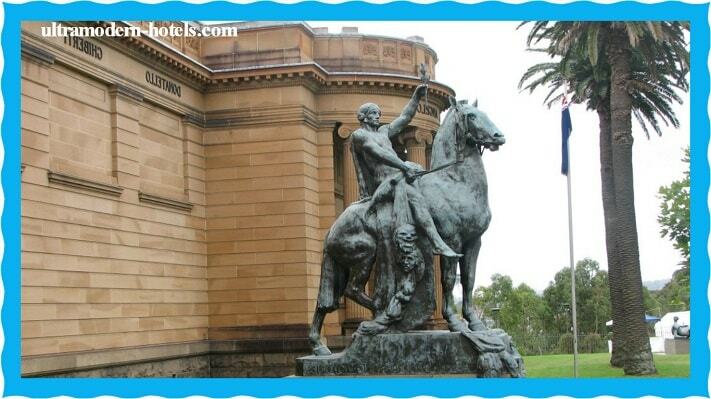 The largest art museum in Sydney. By the number of exhibits is one of the five largest galleries in Australia.